Special Report: A recently released oral history by one of President Nixon’s secretive operatives sheds new light on perhaps Nixon’s darkest crime, the sabotaging of Vietnam peace talks so he could win the 1968 election, writes Robert Parry. Tom Charles Huston, the national security aide assigned by President Richard Nixon to investigate what President Lyndon Johnson knew about why the Vietnam peace talks failed in 1968, concluded that Nixon was personally behind a secret Republican scheme to sabotage those negotiations whose collapse cleared the way to his narrow victory and to four more years of war. “Over the years as I’ve studied it, I’ve concluded that there was no doubt that Nixon was would have been directly involved, that it’s not something that anybody would’ve undertaken on their own,” Huston said in an oral history done for the Nixon presidential library in 2008 and recently released in partially redacted form. 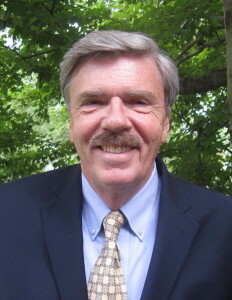 Huston, who is best known for the 1970 Huston Plan to expand spying on the anti-Vietnam War movement, said he was assigned the peace-talk investigation after Nixon took office because Nixon was told by FBI Director J. Edgar Hoover that President Johnson had learned of Nixon’s sabotage through national security wiretaps. Those wiretaps had revealed that Nixon’s campaign was promising South Vietnamese President Nguyen van Thieu a better deal if he boycotted the Paris peace talks, which Thieu did in the days before the U.S. presidential election in 1968. Johnson’s failure to achieve a breakthrough stalled a late surge by Vice President Hubert Humphrey and enabled Nixon to prevail in one of the closest elections in U.S. history. 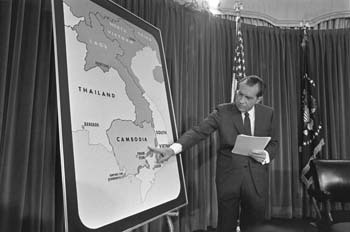 Nixon then expanded the war with heavier strategic bombing over Indochina and with an invasion of Cambodia before winding down U.S. troop levels by 1973. In those Nixon years, a million more Vietnamese were estimated to have died along with an additional 20,763 U.S. dead and 111,230 wounded. The war also bitterly divided the United States, often turning parents against their own children. According to Huston, Hoover briefed Nixon on his potential vulnerability regarding Johnson’s wiretap evidence even before Nixon took office. “That goes back to the meeting that Nixon had with Hoover at the Pierre Hotel in New York after the election, at which Nixon made it clear to Hoover that he was going to reappoint him, which is what Hoover wanted. “But, you know, Hoover was a piece of work. I mean, at the same time that pursuant to instructions from Lyndon Johnson he’s got his agents scurrying all over the damn Southwest, you know, trying to dig up dirt on the vice president-elect [Spiro Agnew for his purported role in the peace-talk sabotage], [Hoover]’s sitting with the President-elect and telling him that Johnson had bugged his airplane during the ’68 campaign,” a specific claim that was apparently false but something that Nixon appears to have believed. Faced with uncertainty about exactly what evidence Johnson had, Nixon ordered up a review of what was in the files, including whatever obstacles that the peace talks had encountered, an area that Huston felt required examining the issue of Republican obstruction, including contacts between Nixon campaign operative Anna Chennault and senior South Vietnamese officials. Huston found that nearly all the national security files at the White House had been packed up and shipped to the Johnson presidential library in Austin, Texas, so Huston began piecing together the material from records recovered from the FBI and other federal agencies. 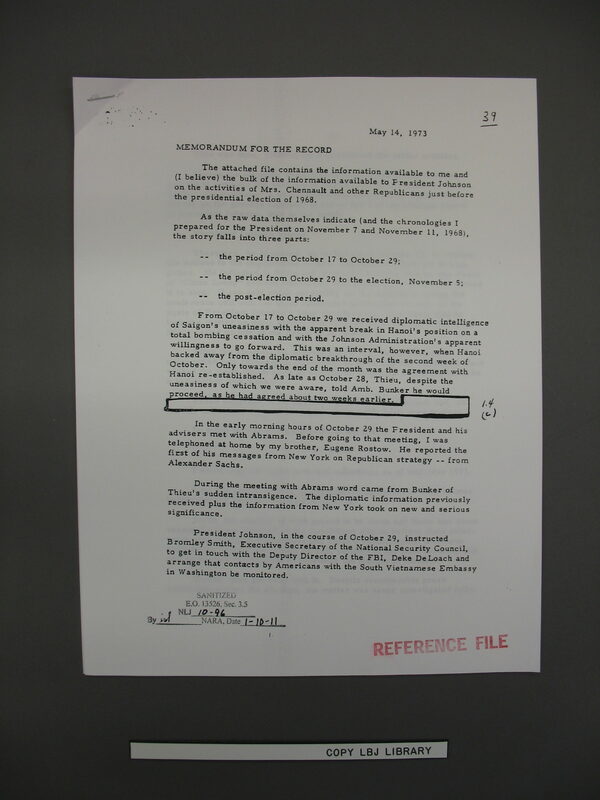 According to the National Archives, Nixon, as the sitting president, would have had relatively easy access to the material shipped to Austin if he had wanted it. Describing his investigation, Huston said he eventually “got so frustrated because I knew I wasn’t getting all of the information that would allow me to really understand what had happened in Paris. And so I decided to go out and start bird-dogging on my own,” reaching out to other federal agencies. Huston said “there is no question” that the Nixon campaign approached senior South Vietnamese officials with promises of a better deal if they stayed away from the Paris peace talks. “Clearly, [campaign manager John] Mitchell was directly involved. 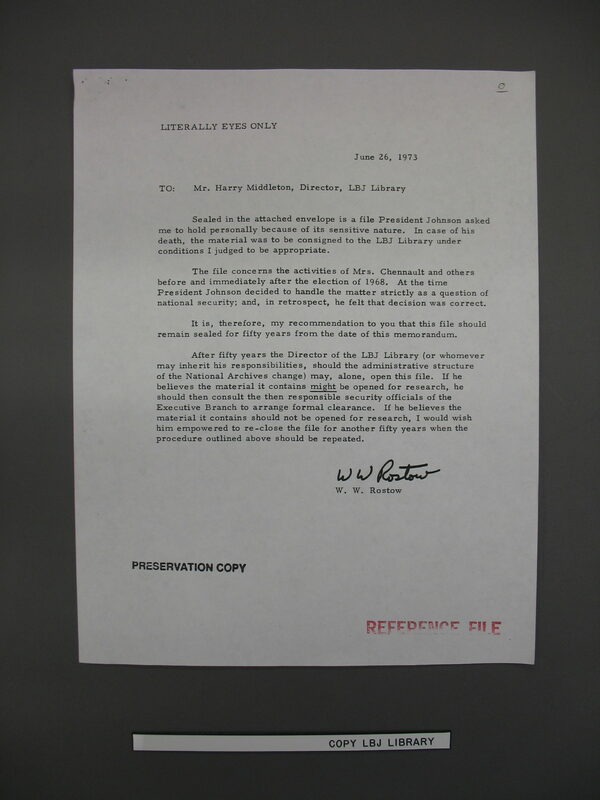 Mitchell was meeting with her [Chennault], and, you know, the question, was the candidate himself directly involved, and, you know, my conclusion is that there is no evidence that I found, nor that anyone else has found that I can determine, that I regard as credible, that would confirm the fact that Nixon was directly involved. 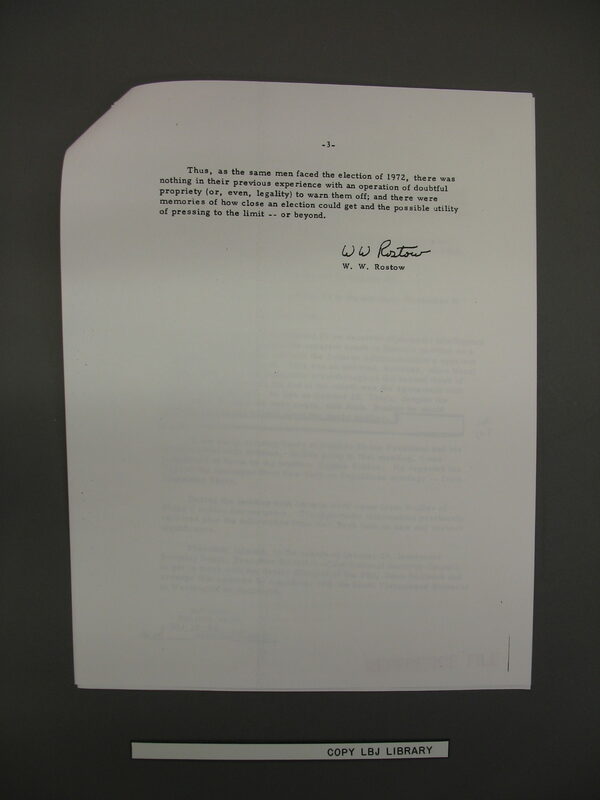 Though Huston reported to Nixon that the Johnson people apparently lacked a “smoking gun” that personally implicated him in the scheme, the whereabouts of the missing evidence and exactly what it showed remained a pressing concern to Nixon and his inner circle, especially in June 1971 when major American newspapers began publishing the leaked Pentagon Papers. That report revealed the deceptions that had pervaded the Vietnam conflict from its post-World War II origins through 1967, covering mostly Democratic lies. But Nixon knew what few others did, that there was the potential for a devastating sequel, the story of how the Nixon campaign had torpedoed peace talks that could have ended the war. Given the intensity of anti-war sentiment in 1971, such a revelation could have had explosive and unforeseeable consequences, conceivably even impeachment and certainly threatening Nixon’s reelection in 1972. Huston had come to believe that a detailed report on the failed Paris peace talks, possibly containing the evidence of the Republican sabotage, had ended up at the Brookings Institution, then regarded as a liberal think tank housing many of Nixon’s top critics. 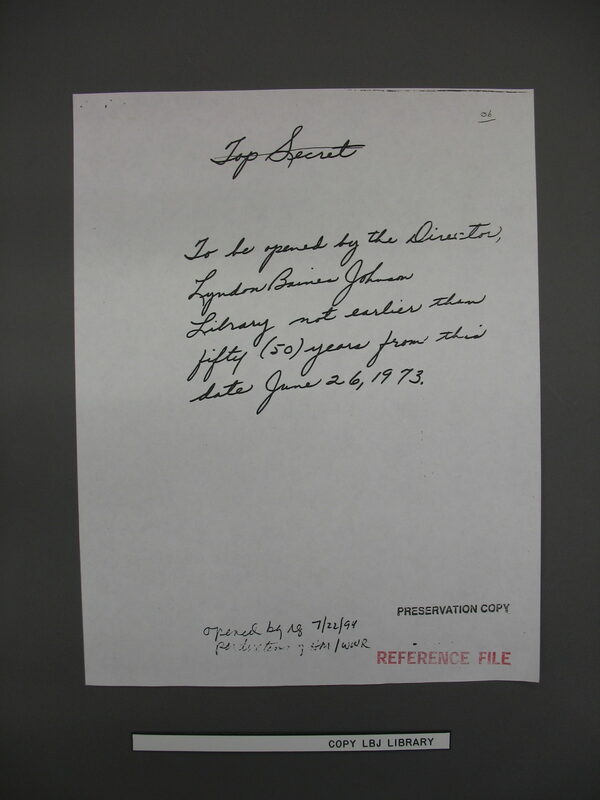 According to Brookings officials and U.S. government archivists, Huston appears to have been wrong in his conclusions about the existence of such a “multi-volume report” hidden at Brookings, but his memo would have historical repercussions because it became the focus of a frantic Oval Office meeting on June 17, 1971, as Nixon and his top aides were assessing their own exposure as the Pentagon Papers filled the front pages of the New York Times. But Johnson did know that the key file documenting Nixon’s peace-talk sabotage was safely out of Nixon’s reach, entrusted to his former national security advisor Walt Rostow. 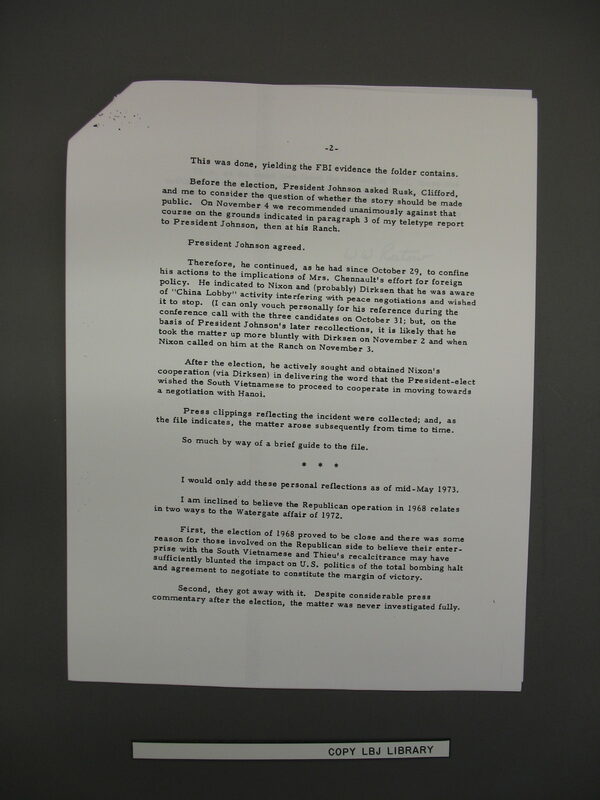 For reasons that remain unclear, it appears that the Brookings break-in never took place although Brookings officials say an attempted break-in was made but Nixon’s desperation to locate Johnson’s peace-talk evidence was an important link in the chain of events that led to the creation of Nixon’s burglary unit under Hunt’s supervision. Hunt later oversaw the two Watergate break-ins in May and June of 1972. While it’s possible that Nixon was still searching for the evidence about his Vietnam-peace sabotage when the Watergate break-ins occurred nearly a year later, it’s generally believed that the burglary was more broadly focused, seeking any information that might have an impact on Nixon’s re-election, either defensively or offensively. As it turned out, Nixon’s burglars were nabbed inside the Watergate complex during their second break-in at the Democratic National Committee on June 17, 1972, exactly one year after Nixon’s tirade to Haldeman and Kissinger about the need to blow the safe at the Brookings Institution in pursuit of the missing Vietnam peace-talk file. What Rostow didn’t know was that there was a third and more direct connection between the missing file and Watergate. Nixon’s fear about the evidence in the file surfacing as a follow-up to the Pentagon Papers was Nixon’s motive for creating Hunt’s burglary team in the first place. Yet, by withholding the file on Nixon’s “treason,” Johnson and Rostow allowed for incomplete and distorted histories of the Vietnam War and Watergate to take shape and for Nixon and his Republican cohorts to escape the full opprobrium that they deserved. John Kerry is obviously still on the Protected Species list. Were we allowed access to reality, we would need no fiction. My question is; what did Nixon have on LBJ? 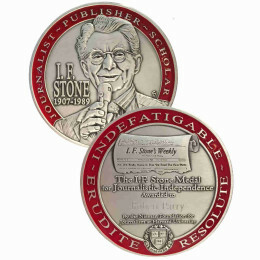 In order for LBJ not to go after Nixon raises my submissions. LBJ’s refusal to work with Nixon sounds as though LBJ was saying, enough is enough, no more! Last question; doesn’t it get your goat in regards to the time limits assigned all these type documents? We citizens are truly left clueless when it should matter! What Nixon had on LBJ was likely proof of his foreknowledge and participation in the removal of his predecessor, our beloved 35th president … who was pulling us out of vietnam, ending the cold war (combining the race to the moon w/the soviets to emphasize cooperation instead of killing each other) and open to normalizing relations w/cuba (castro was willing to give back seized property). The plotters had to know LBJ would go along/cover them. 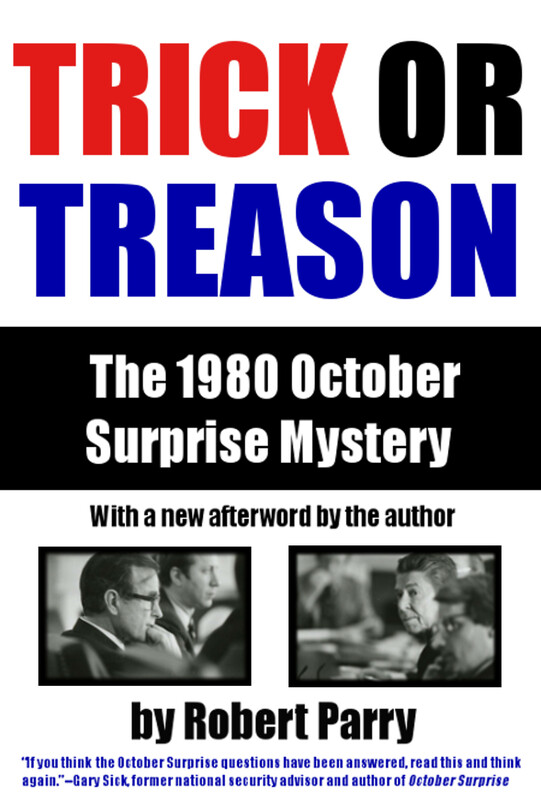 And about Bush/Reagan TREASON v. US/Carter on Iran hostages? No statute of limitation on this capital crime; and perp Poppy along with victim Jimmie are Still ALIVE! Well … We’re WAITING!! “selective” in his reporting on Watergate….the continuing mystery in DC. Multiple groups of sexual services provided at the Watergate…. B&D, Gay and Cross-Gender rooms, both to attract money clients, as well as spy..
preceded the strange death of J.Edgar Hoover…and the Nixon terror campaign. and into the web they walk. Door locks are taped open and mysteriously reset. What was Nixon willing to keep secret…even if he gave up the presidency? Nixon? H.R. knew it was code for something—JFK, Dallas, coup in USA? safes in the White House stuffed with marked bills become traceable in DC. that Nixon wanted bad enough to commit a crime to retrieve? will believe that DT dies with Mark Felt. Felt’s basement where the CIA splits the files they wanted away from the FBI. Hoover’s best secrets (est at 100,000pg) are refiled where FOIA can not track. directors of FAA, NTSB and crash scene agencies to cover-up baggage money. the storyline, smooze his bosses, and continue living/writing into the future. locate of last Nixon Secratary who lived at Columbia Plaza across the st Watergate. job offer. Thanks for all your work on the topic……. bpm, that’s some great reading…with due respect, you should write screenplays. If this be treason (and I think it is), make the most of it. I sent your piece to Thom Hartmann, who talks about this regularly.